Beloved for its authentic, friendly community, this is truly a beachside nest, hidden up a stairway through a back alley off a busy boulevard. The space is intimate yet uncrowded and splashed in vibrant color. All levels are welcomed with open arms by high vibe instructors like Jessica Corbin. Mats, props, towels and purified water is free, but if you can’t walk or bike, plan to come early. Finding parking on mornings and weekday nights is manageable, but allow more time on weekends. This spot are steps from the beach and a brisk swim in the ocean awaits if you’re so inclined. Otherwise, Cow’s End Cafe is right next door with a menu full of healthy smoothies that hit the spot. This is the most heartfelt Yoga I have ever experienced! In a world where yoga has become yet another form of exercise Yoga Nest brings back the heart and soul of the practice. 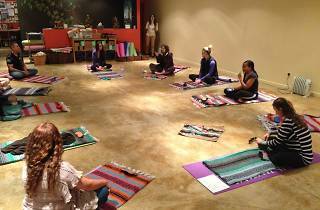 The owner Sara Falugo creates space for us all to connect and deepen our practice. We learn the to connect breath and movement in a moving meditation. She creates more than a place to come to practice, Sara creates a community where we can all flourish and grow together. 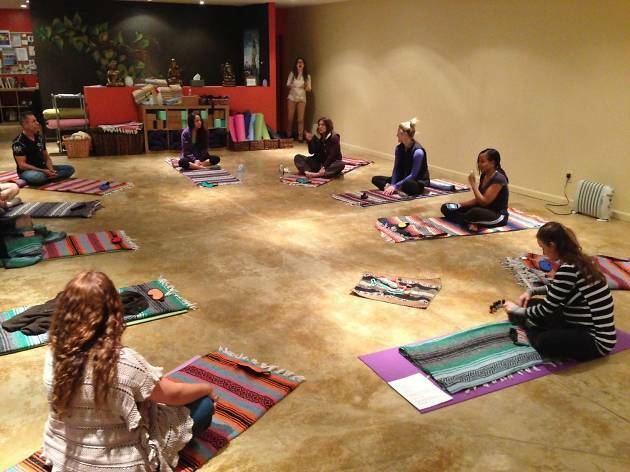 Yoga Nest is a family and you can feel the love and support the moment you walk in. This truly special place is a container for love, connection and expansion. I for one am truly grateful for this space.